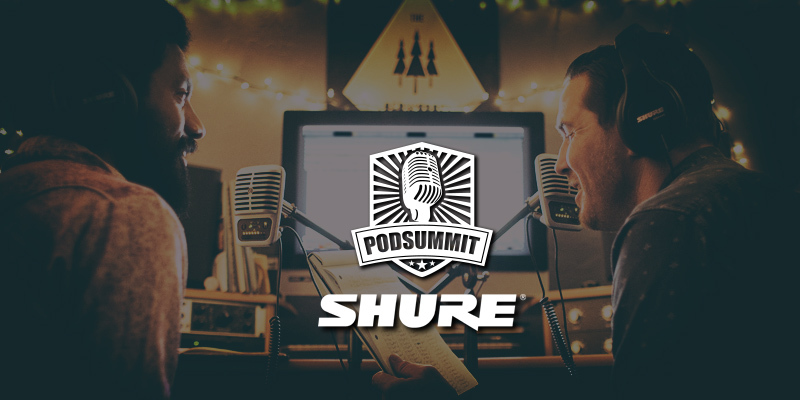 Shure Canada Reveals Podcasting Microphones at PodSummit! If you are interested in audio or video production, broadcasting or podcasting… chances are you’ve heard of Shure. Their legendary microphones have graced stages and studios all over the world. They recently developed a brand new line of microphones aimed specifically at podcasters AND we will be giving away over $1000 of podcasting gear at PodSummit this May! Large diaphragm condenser mic that can connect to your iOS devices AND your computer. This big daddy delivers studio quality sound, as well as 5 different DSP presets for podcasting, instruments, voice-over, and more. 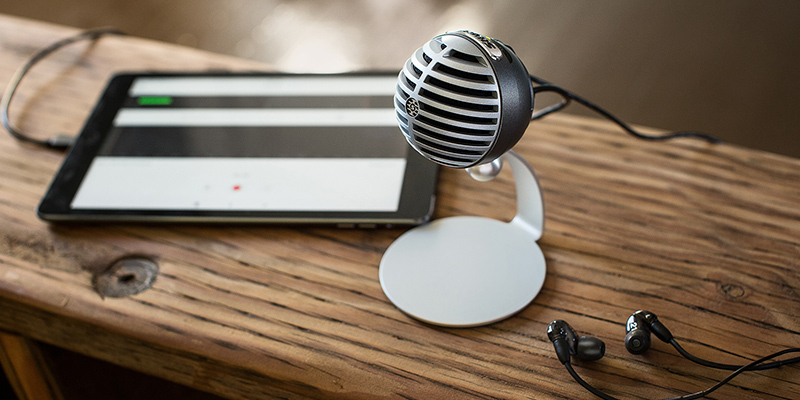 You can set it on your table with the included kickstand, or mount it to a mic-stand. Click here for more details. 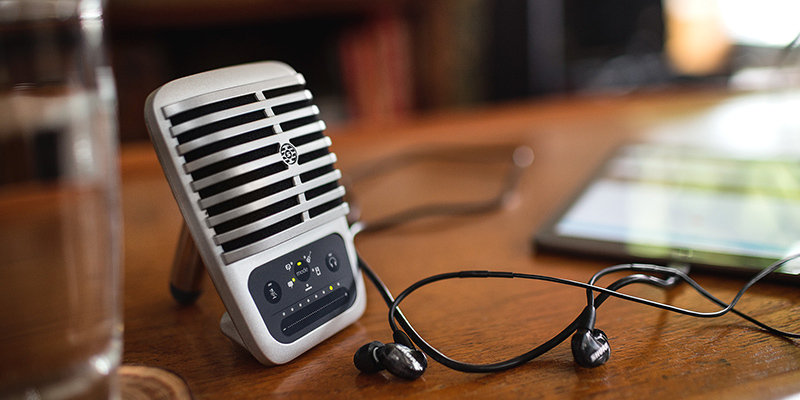 With the classic grille looks, this portable mic brings professional quality sound to any location. It’s small enough to fit into your laptop bag, and bring with you for vlogging or podcasting on the go. It’s tuned specifically for voice, and also includes a few DSP presets. Click here for more details. 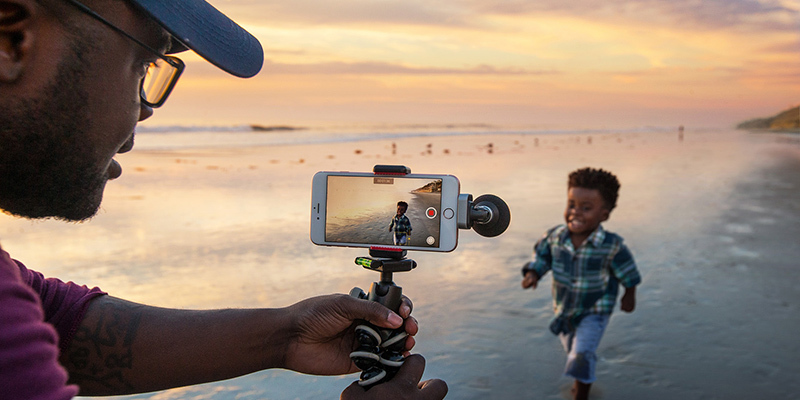 This iOS mic is all about recording on the go with your phone or tablet. Just plug it into your Lightning port and go. It’s ideal for video and audio capture. We’ll be using these at the conference so you’ll get a chance to see them in action! Click here for details.